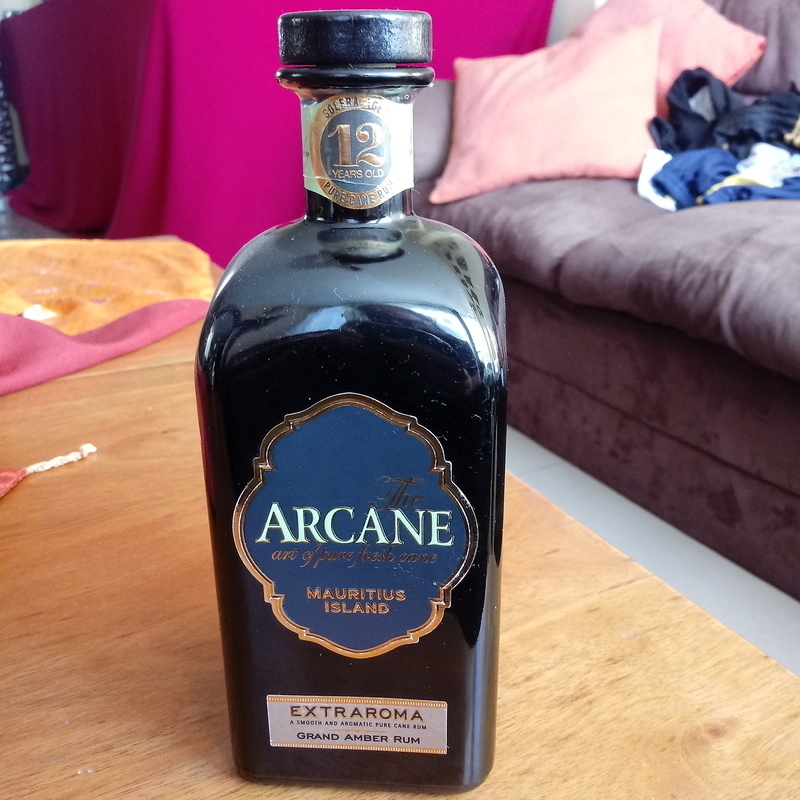 Have you found an online vendor selling Arcane Extraroma 12-Year? 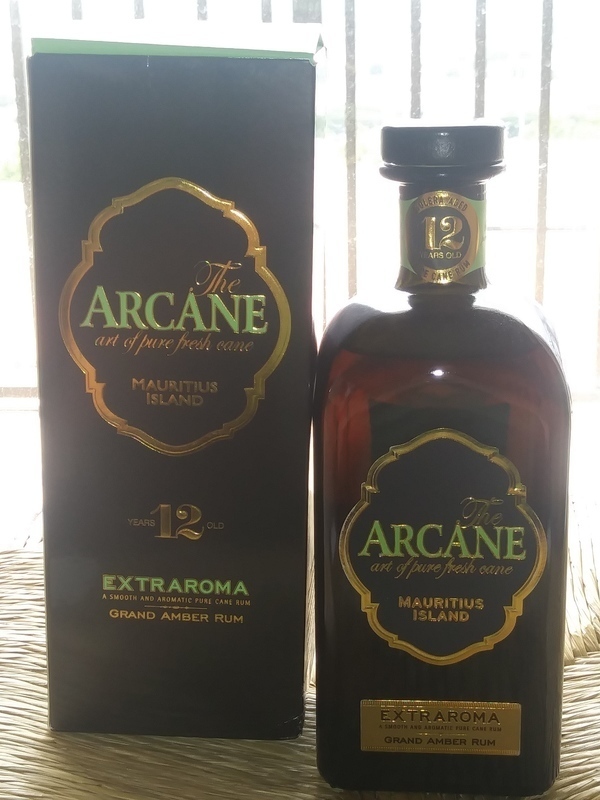 Arcane Extraroma is a 12-year old solera rum from Mauritius made from pure cane sugar and aged in French oak barrels. absolutely out of our rum planet! Ok, aromas are obvious, but I would say they hit you and bring you down to an easy home made drink or open your mind to the craziest bartending or gastronomy experience! When I first tried it, it was a bit of a WTF moment. Really not like most rums and I wasn't sure whether I actually liked it. I certainly didn't dislike it, but now the more I drink it, the more I love it, and this really is up there with my favourites. The notes of cane shine through, and I agree with the tasting note on the back about coco, vanilla and tropical scents. However I would add banana to that. I give it to (discerning friends) and some just sit there sniffing it. Definitely different, and so much the better for it. Notes de coco, banane, tonalités vanillées et une note finale boisée et épicée. Enjoyed a glass of Arcane Extraroma from the Island of Mauritius on a rather rainy afternoon. Arcane Extraroma comes in a fancy black toned box with a nice blacked out bottle design and a pretty nice mint colored label. Color of the rum is semi dark. To me this rum reminds me of the very first sweet Rhum Agricole in the world. Unique for sure. Banana and marzipan are the strongest flavors to the nose and palate. Vanilla is secondary flavor and still quite strong. Too much vanilla tones on the palate for me, not as great as what it was raved up to be. This is only after my first taste neat but a good rum does not need to grow on you it should be instant love for it. I will use it as a mixer rum and for the money we pay for a bottle in Aus $100 I would drink the Diplomatico Exclusiva Reserva over this any day. It probably didnt help that I had high expectations for this but it didnt live up to more than a 7 for me. To be reserved for special occasion or can be used with dessert assiocation. Smell is not so great, banana, pastry cream... but the taste is unexpected. Advised! Un Rhum sucré et fruité.Au nez effectivement on retrouve comme cela a été déjà dit la célèbre banane Haribo. On y retrouve également des notes de miel tirant même je trouve sur la cire d'abeille. En début de bouche on retrouve la banane, en milieu de bouche le miel se fait plus présent et accompagné de légères touches épicées. Mmmmm, hard to say how I feel about this rum. The smell isn't so good, I feel like I smell chocolate and cofee, although I think I'm the only one. Then the taste is not that bad, to sip neat, but again, pretty different from other rums I tasted. 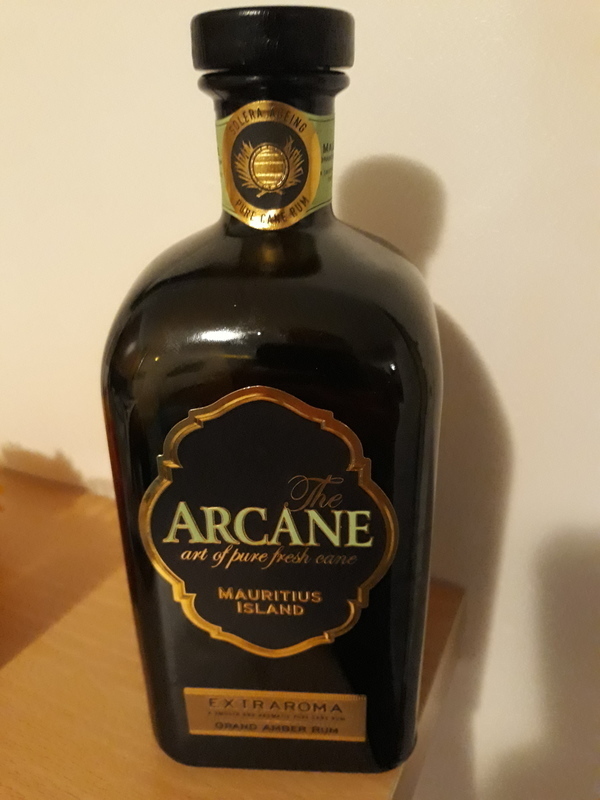 I think it's good for rum lovers but probably not for everybody. Le nez offre des arômes de fruits tropicaux ,de cannes fraîches et d'épicés. The bottle is surprisingly compact, with a dripping neck. In aroma: barrel, alcohol, ripe banana, flowers. Rich and long taste. Some difficulty swallowing. Pleasantly relaxing. It is drunk easy and a lot, with loss of coordination and body heaviness, clear consciousness, good mood and without consequences in the morning. The first sip straight from the box was an artificial banana so badly, I couldn´t believe anyone rated it above a 4. As it starts to work the banana eases off and you find vanilla and marzipan with a hint of other fruit. The aroma stays strong for hours (GF left hers unfinished and I found it the next day still with a pleasant aroma). The taste is slightly overpowered by the aroma but still pleasant as a sipper. Lots of aroma. Vanilla, coconut, dark, more syrupy, creamy, long and strong after taste, lots of spice. Not the average type of rum. Exotic and good sipper if u want some thing different for a change. So much of taste after 12 years laying in wooden casks, it makes it more like some old French cognac. Still very good and glass full of pleasure. Trochu zklamání. Možná jsou měl zbytečně vysoké očekávání. Vůně mi připadá trochu umělá. Vyvazena ovocna vune plna sladkosti a pri tom svezi a originalni. Chut ovocna, velmi prijemna. Perfektni volba, ktera me mile prekvapila. In my opinion strange bottle...not typical, not my type. When you will open - great aroma. I was suprised that is so fantastic. Colour is good. First taste...veeery smooooth...One of the best in that I ever try. Very balanced...but...not my type. You can feel that is good rum...but I'm missing something there. Well, i bought this one this summer and it's really something surprising. I didn't liked it that much, neither my brother or my cousins that were with me, but my father liked it, it's very strong in flavours. You should try it if you're looking for something unusual. Un ron de la isla Mauricio. Le encontré notas de banana, pimienta pero sobretodo menta y eucalipto. Personalmente no me gustó pero probablemente a otros les agrade, a mi no me gusta ni la menta ni eucalipto. Its rly full of different tastes and smells. I had only one glass, have to say was great but i cant imagine drinking it all night. As a one glass i would rate it 9. Tasty, smooth, banana and vanilla nose and more.. really well balanced. No need to drink it with soft drinks. Great aftertaste! The more time it takes after the sip the better.